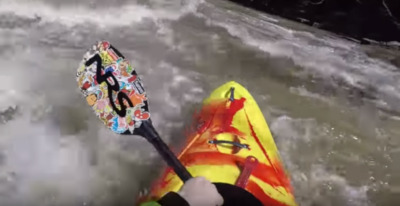 Alex takes a Machno Large with a Shogun Paddle to the Tug Hill spring runoff! Spring is whitewater paradise in the Tug Hill and Western Adirondacks. This weekend I ran 4 creeks within a 10 mile radius of Lowville New York, including parts of the Roaring Branch, Mill Creek, Otter Creek, and Whittaker Creek. Hopefully we get a few more weekends of water before it's time to start chasing water further north into the mountains. Boat is a Pyranha Machno Large. Paddle is a Shogun.